Ryan J. Mitchell is a shareholder with Burson Entrekin Orr Mitchell & Lacey, PA Mr. Mitchell focuses his practice in the areas of workers compensation, litigation, medical malpractice, products liability, and railroad law. Mr. Mitchell received his Bachelor of Sciences degree from Mississippi College and his Juris Doctorate from the University of Mississippi School of Law. He was admitted to practice in the State of Mississippi in 2000. 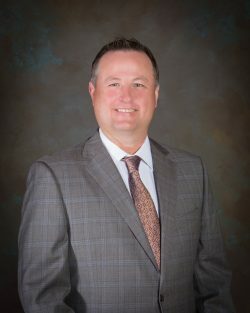 Mr. Mitchell is a member of the American Bar Association, the Jones County Bar Association, the Jones County Young Lawyers Association, and the Mississippi Defense Lawyers Association. As a law student, he participated in the esteemed Moot Court Board and the International Legal Fraternity of Phi Delta Phi.